You don’t have to be a ‘techie’ to know that if your not online, you’ll get left behind. 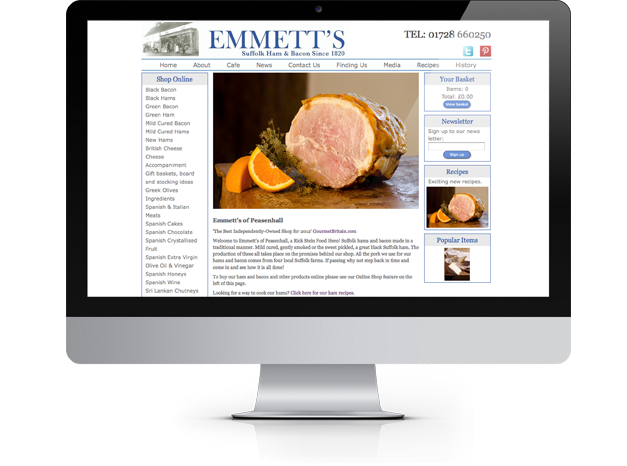 We design and build bespoke web sites that not only look great but are simple to use. With our CMS (content management systems) websites, you are able to manage and maintain your site from anywhere in the world with an internet connection. Sites are easy to use so you don’t need to come to us every time you want to make a minor change, though we’re happy to do so if you want. And as if all that weren’t enough, we also offer tutorial sessions before the project is signed off to make sure you are completely happy with how to manage it yourself. As well as this we also work with larger sites that require a little more expertise. Online shops, internet booking systems or audio/visual technologies – whatever your needs we will find a solution. And if you can’t find the time to manage your site, we can even do that for you, leaving you free to focus on what it is you do best.